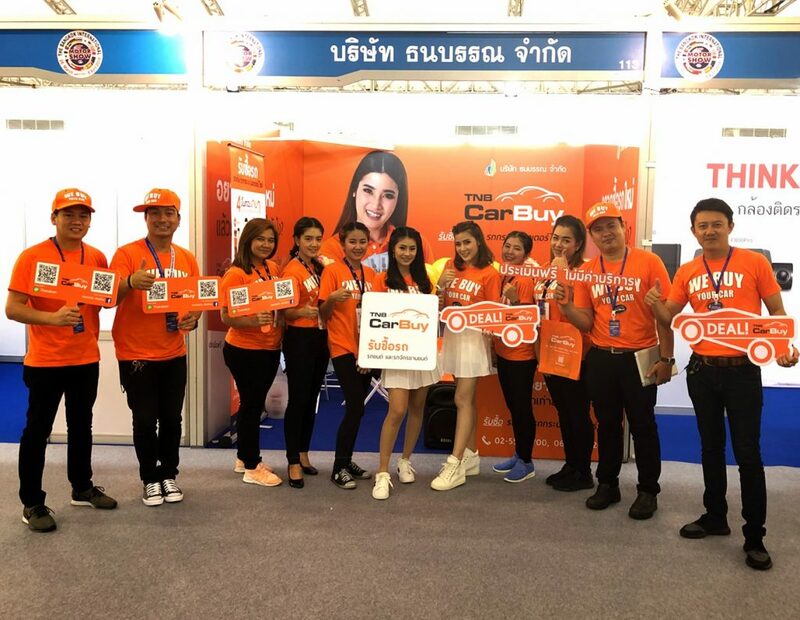 Group Lease Public Company Limited, a SET listed hire purchase and asset- backed loan company based in Thailand with subsidiaries in many South East Asian countries launched “TNB Carbuy”, a new business under the Thai subsidiary Thanaban Company Limited at the 39th International Motor Show 2018 from now on until 8th April 2018 at Challenger Hall 1-3, Impact Arena Muang Thong Thani. Mr. Muneo Tashiro, COO of Group Lease Public Company Limited, reveals that Thanaban Carbuy is a service that allows owners of a car or a motorcycle to sell their vehicle quickly, conveniently and will solidify Group Lease’s portfolio as this business will target new group of car and motorcycle owners to dispose their asset. We are an expertise at asset backed loan products, with many years of experience evaluating and appraising vehicles. Due to Thanaban Carbuy has its own team of expert vehicle inspectors that appraise the car at the highest price as possible while the appraisal and evaluation are performed at no additional cost and customer has no obligation to sell. Group Lease will mobilize its subsidiary TNB’s 64 branches to promote this new business across Thai market. More than 1.5 million visitors are expected to visit this year’s motor show. Customer can get their car appraised during any day of the event at TNB Carbuy booth and receive free quotation of the car from our expert car inspection and evaluation team. The official launch of the business will kick off at the 39th Bangkok International Motor show from 28th March – 8th April 2018 at Impact Arena Muangthongthani. The company has planned various promotion and activities during the event and aims to create awareness of new business with integrated marketing campaigns both online and offline to reach new target customers.